Two of the greatest things about living in Southern California are perfect weather and beautiful, natural landscapes. Rolling hills, breathtaking views, and the calming sound of the ocean are all iconic for the Golden State, along with balmy coastal temperatures. So, why not enjoy California’s great outdoors? Go take a hike! The area around West Lake Village has some incredible hiking for everyone—from beginner hikers to experts. So, whether you’re on a stroll with your family or you’re looking to push yourself, there’s a trail for you! Check out some of the best trails in the area for all levels. At 606 feet and a mere 2.8 miles long, Paradise Falls Trail is a fairly easy loop. One great thing about this trail is that it’s dog-friendly, so long as your pup stays on a leash. The hike boasts picturesque water features, and its accessible all year. It looks down on Indian Creek at the beginning, dropping down to volcanic rock and a stunning 70 foot waterfall, which cascades into a deep pool. The loop back is an easy meander, perfect for anyone looking to stroll and enjoy a quiet morning. This hike is noted as “moderate” on AllTrails.com, but many hikers say it’s easy enough to take along kids as young as 7. 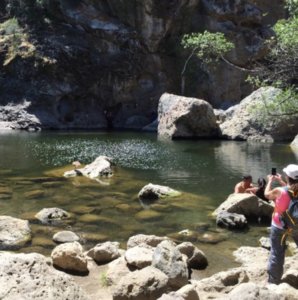 The loop is 5.7 miles long at 465 feet, noted as a “lovely walk down oak shaded lane.” The trail passes Rock Pool, where rock climbers can be seen scaling the Planet of the Apes wall. Also, if you go past Century Lake, you can take pictures at the site of the well-known M.A.S.H. television series. 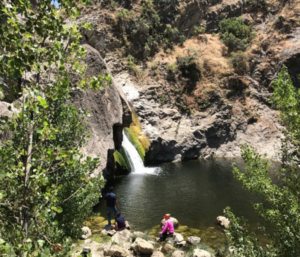 Rock pools, walls of volcanic rock, and the chance to see an iconic television set make this one of Malibu’s most well-known and loved trails. 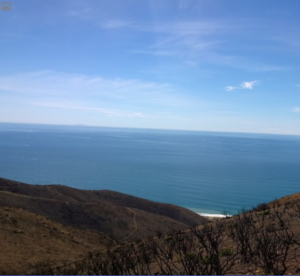 This 12.2 mile hike reaches up to 2,880 feet at Angel Vista, one of the Santa Monica Mountain’s best viewpoints. 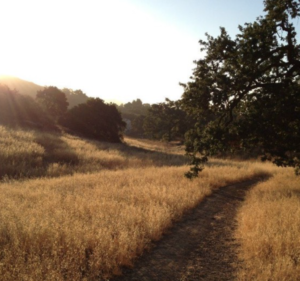 The trail is rated as moderate and takes hikers through rolling chaparral hills. The incline is gradual and mostly steady, and dogs are able to join you as long as they stay on their leash. 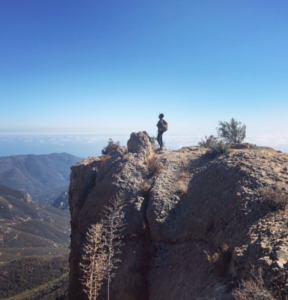 One of the most picturesque hikes in the Santa Monica Mountains, the Mishe Mokwa Trail is a 5.8 mile long loop, and it is rated as moderate. Highlights of the trail include spectacular views of the Echo Cliffs where you can watch rock climbers defy the shear heights, a house-sized boulder balanced on top of a small rock, and breathtaking views from Sandstone Peak and Inspiration Point. 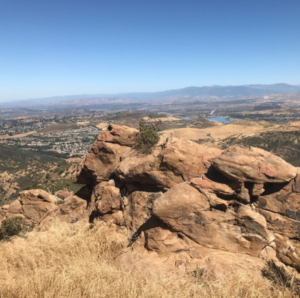 Noted as a “desolated hiking gem” and “the best and most unused trail in the Conejo Valley,” Rabbit Ridge Trail is deﬁnitely not for beginners. The 6.5 mile loop at 1,883 feet is noted for its isolation. While not far from civilization, the trail isn’t frequently used, leaving some of the pathways difﬁcult to determine, and some rock scrambling is required. The hike starts with switchbacks and vertical climbs, but evens out towards the top. We love Westlake Village and are one of fastest-growing real estate companies in the area. If you know anyone or are in need of a new property get in contact with Harrison Luxury Group today!